Many years ago my Aunt started working on our family tree. After she passed, I had inherited all her work which includes a large collection of family photos. Over the past couple of years, I have been hard at work trying to scan and document many of the photos and compile her work into one neat collection. 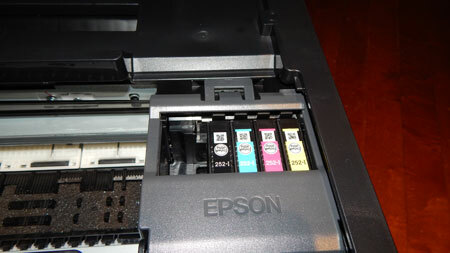 It has been a daunting task and the “Epson WF-7720 Wireless Wide-Format All-in-One Printer” has helped make a difficult job, a little bit easier. 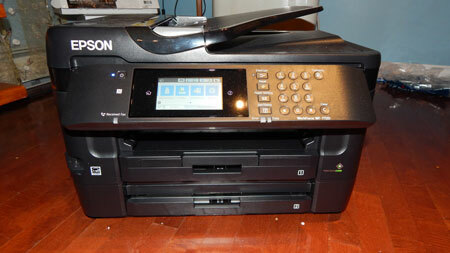 The “Epson WF-7720 Wireless Wide-Format All-in-One Printer” is easy to set up. I simply plugged it in and followed the on-screen prompts. The colour touchscreen is responsive and its large size made it easy to read the instructions and menus. The screen is attached at the top via a hinge, so you can adjust the viewing angle to suit your height. The scanner is what I use most often on this scanner. 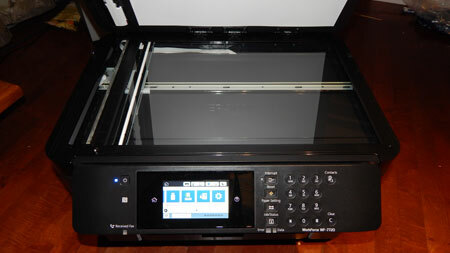 It is high-quality scanning up to 1200 dpi. It has a large scanning surface, easily scanning documents up to 11″ x 17″. The Epson scanning software is easy to use making scanning photo’s a breeze. Its wireless capabilities allow you to scan directly to your computer. I have also used it to scan documents directly to a USB stick. The print clarity is good and the colour is more saturated than the Epson 2750 and Epson 3700 printers. It has the capability of doing 2 sided printing. You can easily print from a variety of devices including tablets, smartphones and computers. I haven’t had the opportunity to test the large print features. the documentation says that it will print borderless prints up to 13″ x 19″. It comes with 4 DURABrite Ultra Ink cartridges (1 Black ink cartridge and 3 colour ink cartridges: 1 Cyan, 1 Magenta, 1 Yellow). The printer is very large and will require a sturdy table to support it’s weight. The “Epson WF-7720 Wireless Wide-Format All-in-One Printer” has other features that would make this printer good for a small home business such as copy and fax capabilities. It has a 35 page Auto Document feeders, and features two 250 sheet trays, plus a rear feed for specialty papers. The “Epson WF-7720 Wireless Wide-Format All-in-One Printer” may fall under the label “Workforce”, but feel that it better suited for small home business or personal use. An office that does a large amount of printing would spend a fortune on ink, but for someone who needs the ability to print or scan poster size, this All-in-One is at a good price point. *Disclosure: I received a complimentary “Epson WF-7720 Wireless Wide-Format All-in-One Printer” through the Amazon Vine Program in exchange for my review. All opinions are 100% my own.